In the summer of 2008, the Aarushi – Hemraj double-murder case sent shockwaves across the country. The case involved a handful of suspects and the initial stories that linked each suspect with the murder were as convincing as the next. However, the media frenzy that followed eventually made it difficult to differentiate between the investigation findings and mere speculation. Meanwhile, the investigation of the case became increasingly difficult with conflicting findings and pieces of evidence. The prime suspects from the start of the investigation were Aarushi’s parents Nupur and Rajesh Talwar. Once the state government handed over the case to the CBI, however, several other associates of Aarushi’s parents were arrested and had to undergo lie-detector and narco-analysis tests. The next turning point in the case came when in 2013, the CBI trial court stated that Aarushi’s parents were guilty of both the murders ‘beyond reasonable doubt’. Investigators alleged that her parents killed Aarushi in a fit of rage when they found her with Hemraj, their domestic servant, in an “objectionable” situation. Facing a life sentence and a possible death penalty, the couple began their time in Dasna Jail. As the interest in the case in the media and public was dwindling, another crucial moment arrived on 12th October 2017. The Allahabad High Court acquitted the Talwars in the 2008 murders. The court claimed that the chain of evidence presented was inconclusive, noting that all circumstantial evidence did not tally to prove the couple guilty. Thus, after nearly 10 years and the involvement of various investigating agencies, the Aarushi-Hemraj case, to this day, remains unsolved. 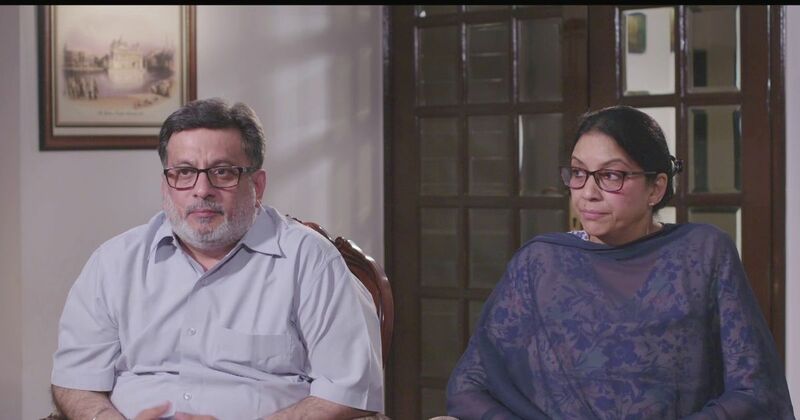 In an exclusive interview with Hotstar, the recently released couple, Nupur and Rajesh Talwar, open-up about their time in jail, the moment their appeal was accepted and their supporters who stood by them. Teary-eyed yet firm, the couple speak about coping with the loss of their daughter, the challenge of integrating back into the society that lies ahead of them and why the murder remains unsolved. The entire interview can be seen here. For more such exclusive content, log on to Hotstar, India’s largest premium streaming platform with more than 1,00,000 hours of drama and movies in 9 languages and coverage of every major global sporting event. The Hotstar Premium service showcases the best TV Shows, movies and sporting events from around the world, including Emmy Award winning shows such as Veep, Game of Thrones and Silicon Valley. To sign up for Hotstar Premium, click here. This article was produced by the Scroll marketing team on behalf of Hotstar and not by the Scroll editorial team.